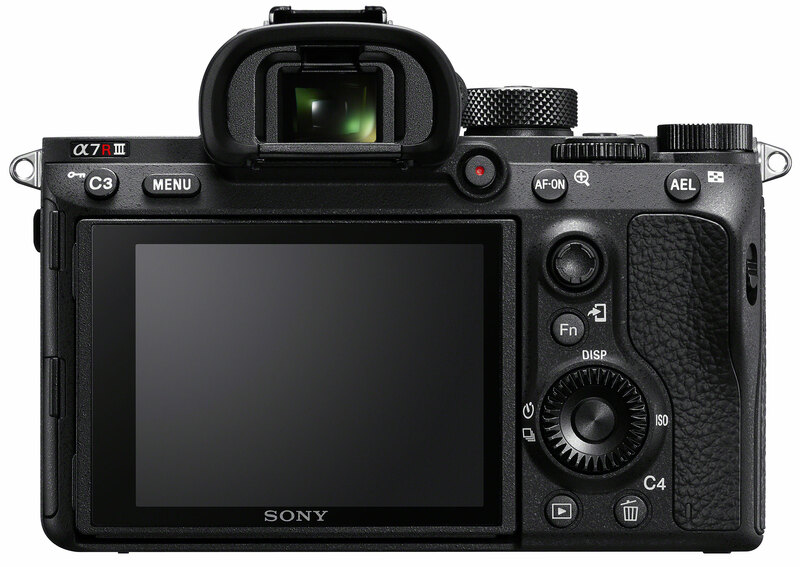 With a body-only price of £3,199/$3,198, the third generation of the A7R came as a surprise to Sony’s own photo studio, who labelled most of the product pictures release on Wednesday as ‘A7RM2’ instead of ‘A7RIII’. We’ve changed the filenames on our system, but countless mediafolk of the future will be confused. They do after all look similar. 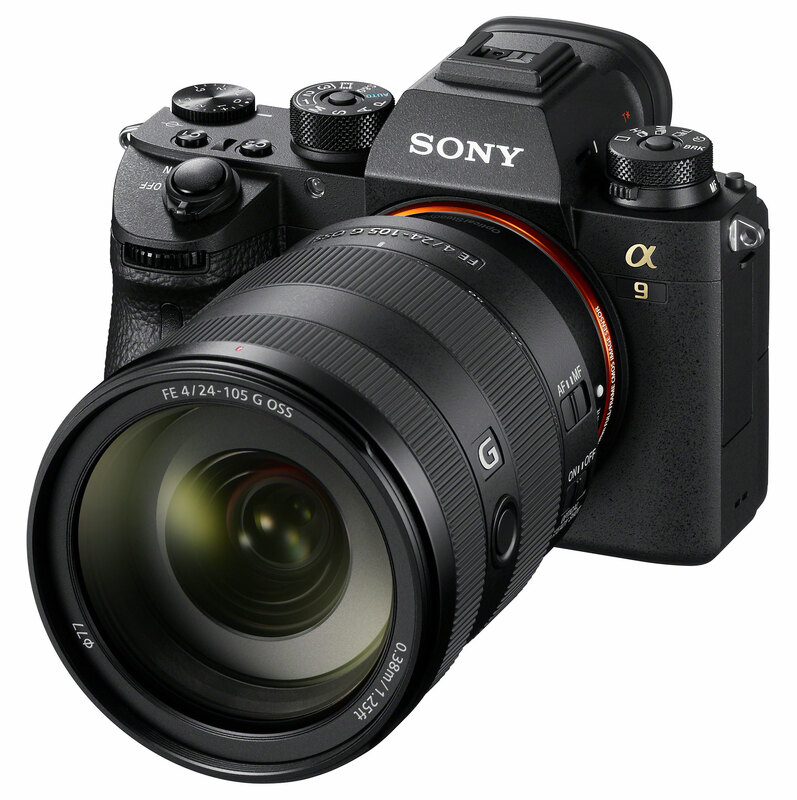 In fact the new 24-105mm f/4 G OSS lens was released with pictures of it on the A7RIII, above, and also on the A9 below. 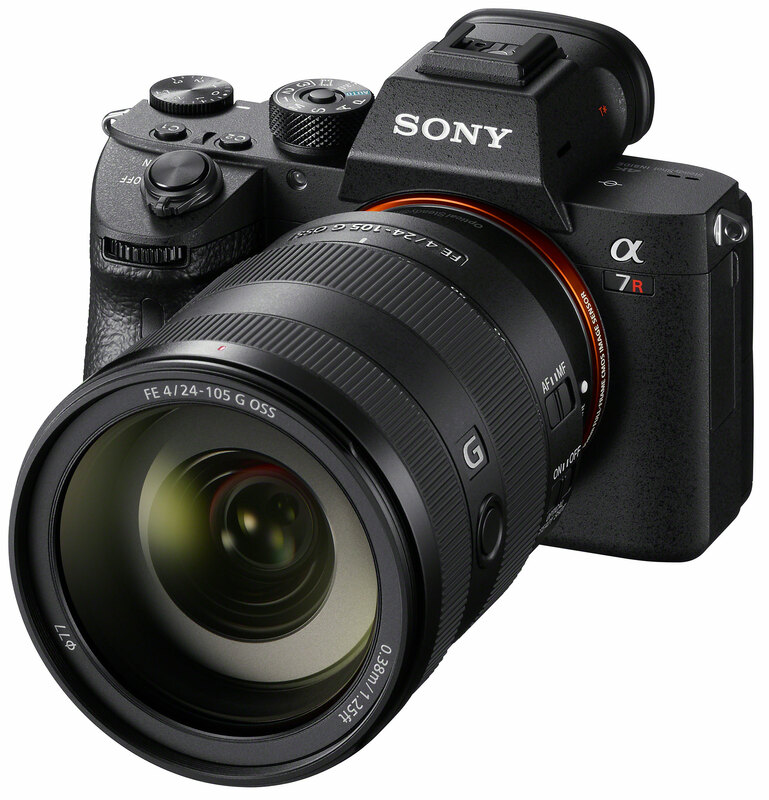 With the A7RIII having a 10fps 42 megapixel motordrive capability, thanks to an improved LSI and new processing engine reading off much faster from the 42 megapixel back-illuminated CMOS sensor, you might have expected economies of scale to have given it the same Dynax 7D-like left hand end drive mode physical dial like the A9, below – especially as the A7RIII has an additional drive-type mode, a four-shot sensor shift to capture 169 megapixels of image data. This involves shifting by one pixel in four positions, and does not create a 4X size, 2X linear pixel count file. You can only get that by shifting half a pixel as Olympus do. The Pentax sensor shift high-res mode shifts by one pixel, and it does not increase the image dimensions, only the sharpness and colour information for each pixel location (making the image similar to a Sigma dp Quattro file in fine detail resolution). 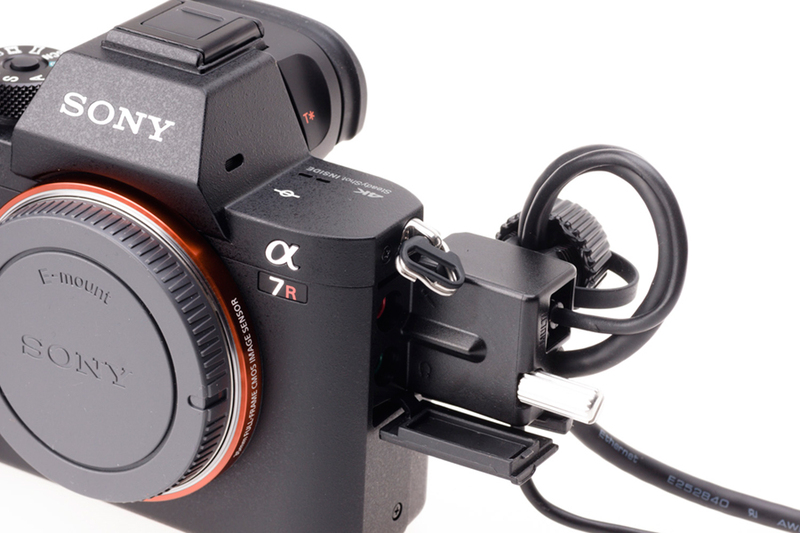 The Sony implementation also appears to need almost half a second between each of the four subframes, requiring a tripod and roughly 2 seconds of capture time. Sony’s proven multishot processing will certainly be able to remove any problems with movement of parts of the subject during this time, but it has to be done in the computer, using the new software suite. “You can then stitch the images together to create an image with fewer artifacts and a truer range of colours”. I tested that on the Pentax K-1 and concluded it was not worth the effort. Regular normal 42 megapixel AA-free shots on a top grade lens are all you need. I’ll repeat that bit about top grade lens. 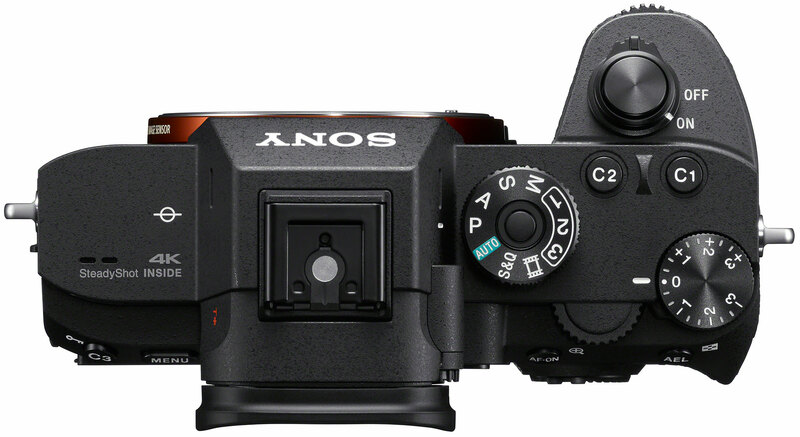 The A7RIII also has a new shutter mechanism which reduces shock, improving the SteadyShot performance, though still 30s to 1/8,000s as before. The sensor gains a new anti-reflective coating and there will be many ‘under the hood’ improvements because that’s what happens. There may also be teething troubles and newly introduced problems, because that also happens. However I’d say early buyers run less risk with this third generation A7R than they did with the predecessors, or indeed with the A6500. But we’ll leave you with the 9 for comparison. Most else that matters is the same, like for example the Memory registers – only two on the A7RII, but three on the A7RIII. It will remember more things, like Setting Effect OFF/ON, and that is just as well because the III puts a DSLR-like feature on its left hand end, a threaded coaxial Prontor-Compur (PC) flash synchronisation terminal (below). Let’s just hope that the circuitry inside is well isolated, as one of my vintage flash units destroyed the Godox X1-T which I use both to get Setting Effect OFF and isolation from high trigger voltages on my A7RII. Study this left end for a bit. It does have phantom power for the 2.5mm mic jack, but the earphone output has been moved so that two doors must now be opened at once to use both together. And there’s something missing. The A7RII has a screw socket next to the neatly paired mic/headphone jacks, which allows a custom made tether clamp assembly (supplied with the camera, seen above) to hold HDMI and USB cables with clamped protection looping. You’ll need some extra Tether Tools kit to safeguard the connectors on the MkIII. There is now a USB-C/3 Super Speed connector as well as a USB-Micro Multifunction, and Micro HDMI. But no provided security of a tether clamp. The back of the camera has much the same screen, but with improvements to resolution and daylight visibility – still no twist and turn, or reversing to face the camera back and protect the LCD. 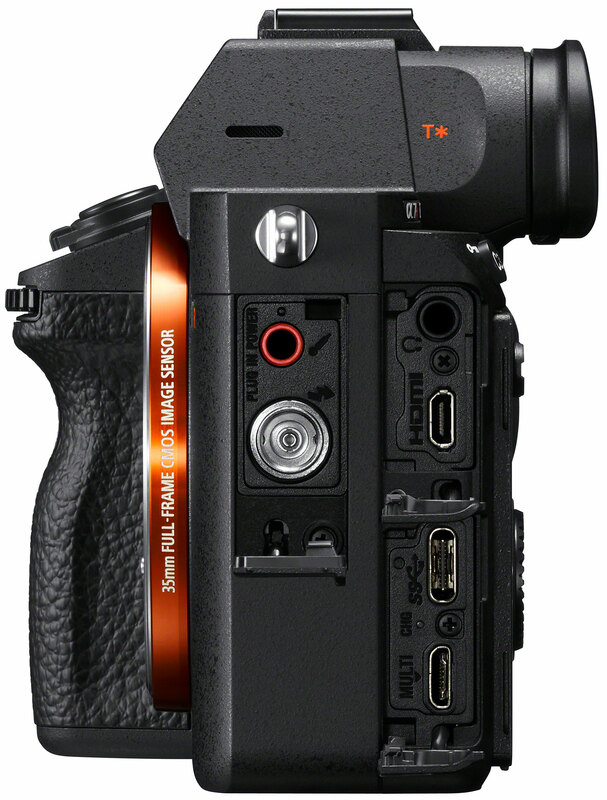 The rear button layout is revised, with movie button located near the viewfinder (well, if Canon does it, it can’t be wrong, can it?) and the switching AF/AE Lock/Toggle/Hold button replaced by an AF-ON and separate AEL, with C3 moved to the left end. Where the movie button used to be you’ll notice a catch for the weathersealed door which covers TWO SD card slots, one UHS-II enabled (more broken bits of card contact septum to lose inside your slot!). Changes to the movie mode using the main shutter release make the use of the red button less essential. You can assign those cards the usual ways, to make copies on card 2 of card 1 as you shoot, just in case one fails (the most important use for wedding photographers) and also to use sequentially (overflow into card 2, liked by action photographers), or split RAW and JPEG, or still and video. 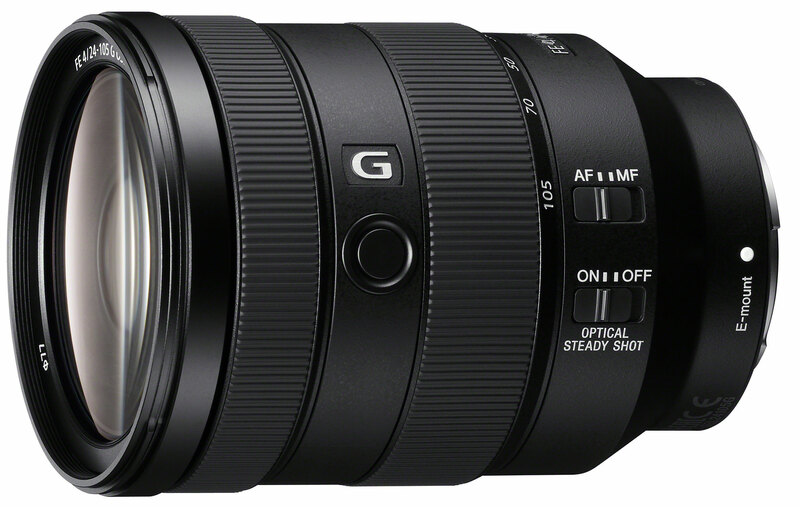 This is the new lens, 24-105mm f/4, and it will probably be very good. It has 77mm filters so I think I’ll stick with the A6500 for travelling, as the little CZ 16-70mm f/4 which is the direct equivalent of this is tiny by comparison and uses neat 55mm filters. Despite some reports to the contrary, I’ve found it to be a good lens, sharp across the frame at 70mm wide open, though prone to flare. The top shows that the strictly amateur ‘SCENE’ position of the mode dial has been replaced by S&Q. I look forward to finding out what this means – probably much the same* *Gary Friedman has provided the answer in Comments – it’s a slo-mo/fast-mo video mode which is of no interest to me personally, but might fascinate messers around with short video clips for YouTube, even if their smartphones do it better. Green auto survives, as not all owners will be experienced photographers, some will just be wealthy camera buyers and this setting will be where they leave it. The published specs were vague about Bluetooth, used for GPS tagging from a smartphone – I’m told US Sony Store specifications clearly state it does have. The A6500 and A9 both do, and can therefore use the Sony mobile phone function for live geotagging of pictures as you take them, using information read at the moment of capture from your nearby smartphone. We’ve also seen reports saying the A7RIII does not use Apps but that seems very unlikely. There are also improvements claimed for dynamic range, with the figure of 15 stops mentioned. This would actually need a 16-bit A to D conversion internally followed by compression to a virtual 15-bit range (via a tone curve) saved in the 14-bit uncompressed raw .ARW format. A 14-bit raw format is now offered for all shooting modes including high speed continuous, which on the A7RII means automatic stepdown to 12-bit. The ISO range is extended to 32,000 before Hi expansion up to 104,200 and goes down to 100 native with Lo down to 50. One benefit of an effective 15-stop range will be that ISO 50 should have 14 stops, or as much highlight data as ISO 100 on the MkII. The extra effective bit depth also pays off when using the S-Log3 and Hybrid-Gamma HDR video settings. This brings Sony professional video camera standards into a primarily still camera for the first time (better than the video-targeted A7SII, and the A9). Sony claim improved skin tones too, though compared to what is a bit of a worry. Many people like Canon skin tones, I think they are like a 1970s USA colour portrait and that Sony’s skin colours have always been more natural. Others disagree and want the pinker, less yellow, face tones. 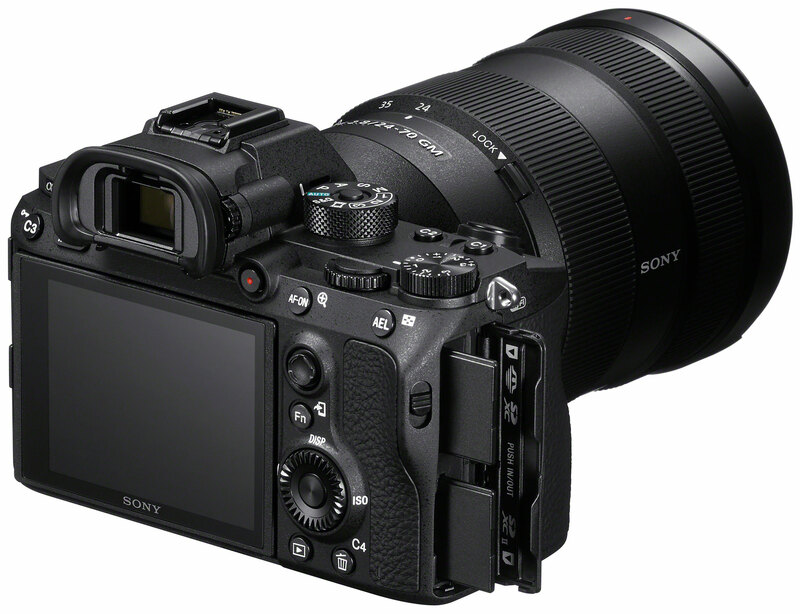 The A7RIII uses the new larger battery with its 2.7X capacity, introduced in the A9. I rather like the way my current Sony cameras share one rather underpowered battery type, but at least a bagful of batteries covers A56500, A7RII, RX10. There are not many different battery types, as we could find with our Olympus kit (check E-M1, E-M1 MkII, E-M5, E-M5MkII, E-M10, E-M10MkII and E-M10MkIII batteries if you want a nightmare). You can also charge Sony batteries in-camera. Will I buy it? Probably not. I use the A7RII for relatively static, large image size, low ISO, controlled shooting of landscapes, architecture, products and so on. I have sold my full frame zooms except for the 70-300mm G OSS and now only use primes on the A7RII (10mm, 18mm, 28mm, 50mm macro, 55mm, 85mm). I don’t travel with it. We’ve bought an Olympus OM-D E-M1 MkII for its Pro Capture (60fps, 18-20fps with pre-shot buffering) and macro auto focus stacking. I’m sticking with the A6500 kit for travel (10-18mm, 16-70mm, 55-210mm) but it’s got to go head to head with the Olympus including the use of the two different smartphone GPS methods. Sony Store specs indicate it DOES have Bluetooth std ver. 4.1. Great insights, especially the one about sensor-shifting not creating a larger image! S&Q stands for “Slow and Quick” mode – it’s like HFR (High Frame Rate), except you can produce fast-motion as well as slow-motion in-camera, without the need for re-encoding on your computer.